They were married five years later, moved into their new home on Davis Street in Duncanville and have been there ever since. Cecilia is a cradle Catholic; Chris is not. She wanted their children to be raised in the Catholic faith. Chris elected to go through Holy Spirit’s RCIA program under the former long-time parish director, Anne Keough. Chris learned about the Knights of Columbus from brothers like Dan Murphy and joined 8157 in 2005. Three years later, he was our Grand Knight. 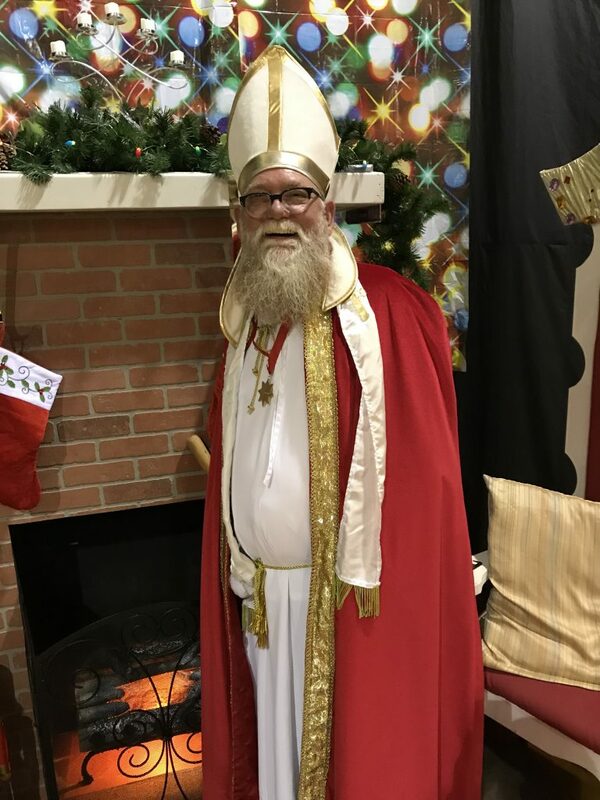 In recent years, he has entertained the parish children at the annual Breakfast with St. Nick. Chris is the owner/operator of Beacon Signs in Duncanville. They have two children. Trevor, 23, recently graduated from Texas A&M Commerce and working locally for an environmental company (and joined our council in 2014). Sophie, 18, is in her last semester at Mountain View College with plans to move on to UT-Arlington. Cecilia is a member of Holy Spirit’s Catholic Daughters of the Americas court. “We love the parish people. We love being a part of this church. Things couldn’t be any better,” Chris says. 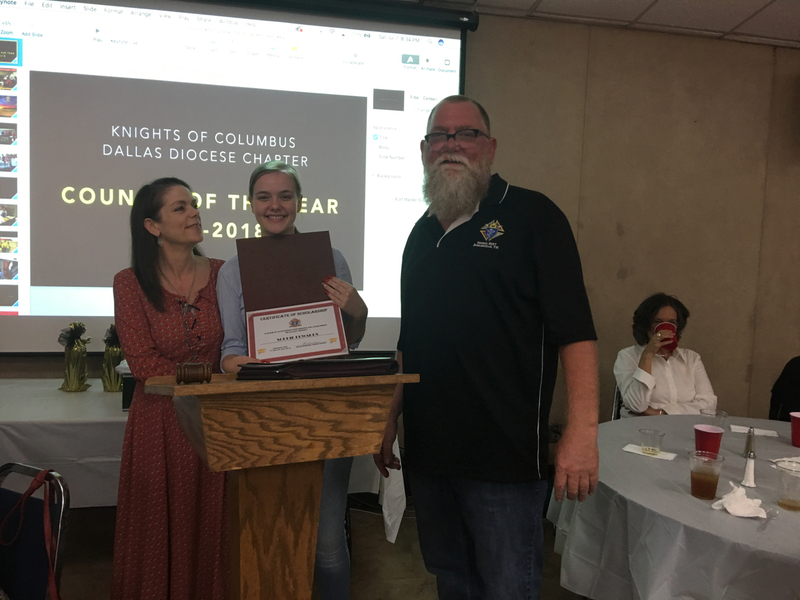 Cecilia, Sophie and Chris Edwards, as Sophie receives a scholarship award from our council.